On our quest to find the best beer in the world, we first narrowed things down to the top 12 beer cities of 2016. And though an impressive 7 of them are within Europe, you may be surprised to find cities in Japan, Australia, and Mexico on the list as well. Bier, bitte. The Germans don’t beat around the bush when it comes to ordering the nation’s tipple and neither should you. So just how do you tackle the home of the infamous Oktoberfest? Munich does beer in a big way. The seven major breweries in the region pump out a staggering 158 million gallons of the stuff. The wheat based Weizen is the local’s choice, best tried at Paulaner Bräuhaus. All beers are brewed on site in unadulterated form, according to the German purity law of 1516. It doesn’t get much more Deutsch than that. If one floor isn’t quite enough beer-drinking goodness, then you have to try out Hofbräuhaus München. This 3-floor beer hall dates back to the 16th century and is perfect for those who like a little party with their Pilsner. When in Rome, visit the Colosseum; when in Munich, visit a Biergarten. With 180 to choose from and seating space for 180,000, Bavarians mean business when it comes to drinking beer in its traditional setting. Historically, beer was only to be brewed in winter, and in order to keep it cool for summer, the beer was stored along the River Isar, which soon became a popular drinking spot – hence the birth of the “beer garden”. Chinesischer Turm is a great option, or experience the real deal at the airport beer garden Airbräu before you fly out. The true home of beer in North America, Portland has its finger on the pulse of the craft beer scene. It’s a city that prides itself on its youthful energy and innovation, and that certainly that comes through in the various concoctions created by its microbreweries. 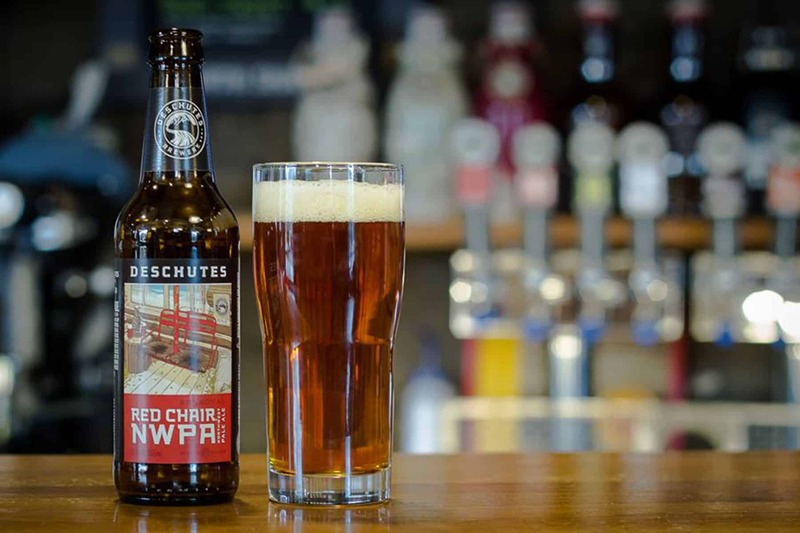 Bigger is better at Deschutes Brewery, the sixth-largest craft brewery in all of the United States. And with 26 beers on tap, you can be sure you’ll find something in their distinct Northwest style. For some international beer geek-ery, head to Belmont Station or Bailey’s Taproom. While Bailey’s portfolio is half European, you can expect anything and everything from Belmont, with beers split by style and country of origin. Most importantly, neither possess the pretentiousness of some of Portland’s more upmarket establishments – perfect for the true beer lover. For another local classic, catch some live music and soak up the surroundings of one of the original craft beer bars of Portland, Produce Row Café. Though it’s closed, reopened, been renovated and re-renovated, it still stands as a classic on the craft beer scene in Portland. And of course, whether seaweed, candy floss or coffee suits your fancy, one mustn’t leave Portland without trying one of the crazier varieties. Coalition Brewing is the perfect place to do so as the brewers will often let you try some of the fun experiments they had a go at. Once upon a time there were just 40 breweries under the Communist rule of the Czech Republic. These days you’re looking at close to three hundred regionally-diverse breweries across the country. Both Budweiser and Pilsner Urquell are must-sees, whether they’re your regular choice at the supermarket or not. Budwesier Budvar is one of the most widely exported beers of the Czech Republic, and the brewery is worth seeing for its sheer size alone. Oh, and the Budvar Beerhouse at the end of the tour is a nice little treat. Knowledgeable and friendly bartenders at Beergeek will help find the right beer for you and, in a collaborative spirit, will send you in the direction of the next bar they think will be to your liking. In many cases, that will be the difficult-to-find-but-totally-worth-it-for-the-view, Sluneční terasa T-Anker, based on the top-floor terrace of the Kotva department store. Dating back to the Communist era, the building is not the most salubrious of structures, so it’s a good thing you’re there for the beer and the outward view. Your last round of drinks in Prague should definitely be done in true-blue Bohemian style at U Medvidku, a stalwart of the Prague beer scene. Craft beer game is strong in the Netherlands, home of yet another world-class beer scene. Just make sure you don’t jump on a bike after a few of the city’s mighty brews! For the iconic experience, Brouwerij ‘t IJ is perfectly placed underneath the city’s tallest windmill, with its beers best enjoyed on the terrace beside it. The infamous pink elephant of Delirium Café is also worth a visit; with 720 beers varieties from around the world, there’s something for even the most discerning beer lover. Oedipus Brewery taproom has Thai-spiced tipples, while Gollem offers more traditional beers with a view to boot: the Overtoom branch in Oud-West has a terrace sitting perfectly amongst the high-rises. Ye-olde charm is important when sampling beer in the Netherlands, and there’s no place better than Grandcafe de Wildeman in its rustic location that dates back to 1690. The colourful Gable stone at the back of the building is a must-see – these can be spotted at a number of the more historic bars around the city. Not just diddly-dee potatoes, Ireland is a beer mecca not for the faint-hearted. The Irish are fifth in the world for per-capita beer consumption, and Dublin was once home to the largest brewery in the world in the early 20th century, so you’re dealing with a nation that knows their stuff. Still the largest brewer of stout, Guinness is arguably the country’s most iconic beverage, and there’s no better place to sample the country’s finest at the Guinness Storehouse in the heart of the city. Once a word that you wouldn’t dare utter on the streets of Dublin, “gastropubs” are now back in fashion and better than ever, with owners paying close attention to the local brews on tap with hearty Irish fare to complement. Black Sheep is a great place to start – make sure you head along to one of their live music or comedy nights. The jokes are always significantly better following a couple of their tap brews. L. Mulligan. Grocer is also worth a visit, as is The Exchequer. Not content to rest on their stout laurels, the Dubliners have a burgeoning craft beer scene that began to bloom in the 1990s. Get your lips wet at the birthplace itself, The Porterhouse Temple Bar, and then finish strong at The Brew Dock sitting in the handy location of the Busaras Luas transport platform. Belgian beer is a phrase that flows so nicely off of the tongue, and Brussels, its capital city, is one of the best places to experience Belgium in a glass. While other cities’ bars may have lost some of the charm of yesteryear, the same can’t be said for the cozy bars of Brussels – truth be told, they’re the perfect place for a meandering pub crawl. Begin your pilgrimage at Chez Moeder Lambic by settling into one of the outdoor tables with a tap beer paired with one of their fantastic selections of cheeses and cold cuts. A stone’s throw away is Bier Circus, another homey bar with a tasting room section. Get there early to make the most of the tasters, and catch a show at the nearby Cirque Royal Concert Hall. Because who says beer and culture can’t go hand in hand? Brussels Beer Project is a fresh, innovative approach to beer brewing in Brussels and a must-see just to soak up the infectious enthusiasm of those who work there and sample some of the ‘bold, creative and collaborative’ wares. Next, head to Brasserie Cantillon, but don’t be fooled by the unassuming façade: there’s a powerful pack of lambic beers behind the modest shopfront. A family-run business that’s now in its fourth generation, there’s only been one major change to its organic ingredients since the brewery’s establishment. End your tour of Brussels with a visit to Brasserie de la Senne. The beers are neither filtered nor pasteurized, and they have no additives – it’s just pure, unadulterated Belgium beer. Montréal is the kind of city where things are done well, where the sometimes light and rather flavourless beers that can be found in North America are instead packed full of flavour. Craft beer is the drop du jour in this French-speaking city, and there are many fine craft beer bars whether you’re after a cozy nook or some lively atmosphere. If you’re a “bigger is better” type, head to three-storey Brutopia Brew Pub for great brews, music and service. For a more intimate feel, head to the hip part of town, Mile End, and into the warm beer-y embrace of Brasserie Dieu du Ciel. Their attention to detail when it comes to picking inventive and curious beers is second to none. Get in early, though, or go at an odd time of day to avoid crowds. It’s 5 o’clock somewhere, right? Another unpretentious treat Montréal has to offer is the small but perfectly formed Vices & Versa, which is best experienced in the evening when a live band fills up the street window. Or escape the tourist crowds in the Latin Quarter in one of the cracked leather armchairs of Le Saint-Bock. For a good all-rounder, it’s hard to go past Les 3 Brasseurs. With an emphasis on white, blonde, IPA, amber and brown – all brewed onsite – you know you’re getting the whole taste of the Montréal scene here. Perhaps a little slower on the uptake of craft beer, Tokyo has made up for lost time with a veritable paradise of breweries and bars. Goodbeer Faucets has one of the largest selections of Japanese and American microbrews in the city, so it’s a great place to start the adventure and get a taste of what’s to come. One of the country’s most innovative brewing companies, Baird Beer, prides itself on adhering to the Japanese philosophy of an aesthetic, harmonious balance to its flavours. While Baird Beer taprooms can be found in a number of places in Japan, its new Harajuku taproom in Tokyo combines expert beer craftsmanship with traditional light ‘izakaya’ fare. And while there are plenty of American and British beer bars based in Tokyo, if you’re wanting to keep things authentically Japanese, look no further than Beer Bar Ushitora or Ant ‘N Bee, both of which have an expertly-picked array of Japanese beers. Don’t forget to bring your wallet; you’ll be dropping a few extra yen here for their quality brews. This historic Belgium town is more than just churches and steeples, with a beer scene to rival the very best beer cities in the world. The people of Bruges keep their beer drinking intimate, so if you’re looking for a beer hall of the large party variety, you might have to wait for the likes of Munich. Since 1865, six generations of the Maes’ family have been at the helm of the Brouwerij De Halve Maan, a brewery that is part of a wider collective in Bruges supporting businesses who have been in the town for more than half a century. Located in the heart of the city, its brewery tour and café will really kick things off for you in Bruges. History is a common theme here in Bruges, and ‘t Poatersgat, tucked away in an old cellar, is a fine example of this. A great array of beers can be found here, as well as free wifi. There’s nothing better than Skyping home from an historic Belgian beer cellar to incite some travel envy among your loved ones. The focus is on the beer at Bierbrasserie Cambrinus, certainly not the layout. You’ll find yourself navigating a rather scattered and messy bar, but it’s all worth it for their range of more obscure Belgian beers at very reasonable prices. After you escape the maze, head to what looks like a residential area near the central Grote Markt. You might mistake Café Rose Red for just another house on the street, so keep an eye out for its outdoor blackboard to tip you off. Once you do find your way in, relax with the signature trappists and lambics they’re known for, and admire the 100 single red roses hanging from the ceiling. Finally, if the trappists of Café Rose Red took your fancy, head to specialist bar, Le Trappiste Brugge to really get into the art form of the traditional monastic brew. Located in a 13th century cellar, make sure you talk to one of their friendly bartenders to find the right kind of trappist for you. The Aussies like their beer, but long gone are the days of the metallic tasting Victoria Bitters and Carltons of the world. When you head to Melbourne these days, you’ll find a huge craft beer scene full of passionate, talented individuals who just want to make good beer. The trouble is, of course, picking where to go. Newly renovated The Terminus Hotel, or ‘The Termo’ as the locals say, is brimming with variety, with a focus on Australian and New Zealand beers. Or head to ‘so hip it hurts’ Forester’s Beer and Music Hall – you’ll be spoiled for choice with their range of craft beers and excellent music lineup. There on a Tuesday? Head along to their beer tasting session, totally free. ‘Onya mate. If you like your beer with some laughs, you’re in good company at Moon Dog Craft Brewery. With beer on tap described as “the ideal post-coitus celebratory (or commiseratory) drink,” it’s maybe one to avoid if you’re drinking with your Mum. It’d be brewed not to head along to the infamous Cookie right next to Fitzroy, part of a four-storey building of restaurants and bars. Don’t be fooled by the Asian cuisine and enormous wine list; Cookie sports over 200 beers, so you’re in safe hands here. Finished your bevvy yet? Grab another upstairs at Rooftop Bar and take in spectacular views of the city while you’re at it. The brewery bar at Mountain Goat Beer is located in the heart of hip and happening suburb, Richmond. While you can probably grab one of these beers from any decent bottle shop around the city, they’re definitely best enjoyed with one of their killer pizzas to go alongside. In Mexico in December? Head along to the Puebla Beer Fest and celebrate this delicious beverage the way the locals do. Never fear if you’re not – there are plenty of beer bars dotted around the city to give you a taste of something other than Corona. DRAFT Gastropub brews a fine example of a Mexican Wheat, or catch a game of football with the locals at Bull McCabe and see how Mexicans do footie and a beer. Mexicans aren’t ones to shy away from life and colour in everything they do, so it’s no surprise that El Breve Espacio manages to combine great beer, fantastic art, a small stage and performances from Brazilian jazz to flamenco. Phew! Hidden inside an old Spanish Colonia house, or ‘vecindade’ as they’re called, Cerdo Picante offers a great variety of beers, all reasonably priced. The pub food leaves a little to be desired, so maybe just stick to the liquid gold at this particular spot. With its historic city centre listed as a UNESCO world heritage site, this is yet another Western European city steeped in beer-making prestige. While technically more of a town than a city with a population of only around 70,000, we’re sneaking it onto the end of the list – Bamberg is a must-see just for the sheer quality of beers made on such a small scale. Deep and complex beers can be found in this small Bavarian town, get your tastebuds tingling at the traditional Brauerei Fässla nearby the train station. If you’re a fan of bacon but have never tried it in liquid form, head across the road to Brauerei Spezial for a glass of the region’s smokiest brew. Probably the region’s most famous brewery, Schlenkerla is the perfect place to try their wide range of traditional beers alongside their flavoursome local fare. For a beer with a view, head along to Klosterbräu and grab a table on the patio for beautiful views of the river and historic township. The beauty of sampling beers in such a small city? You’re never more than a short walk away from the next drop. Okay, we admit it – the task of finding the best beer in the world was a bit ambitious, and by the time we made it to city #4, we could hardly stand up. Can you help us choose the best beer in the world? Which other cities have we overlooked that deserve a visit? Leave us your thoughts below – the next time we’re in your city, the first pint is on us!